The first step was to create the internal candidate source – so you could add candidates with the “internal” candidate source for reporting purposes. This has been live for some time. The next step was to create an “internal” job status for positions where you only want to consider internal candidates. We then made it easy for registered users with the limited and standard access levels to find and apply for these jobs. These changes were made in September 2017. Today we are releasing the final piece of the puzzle, which allows you to create an internal job board where anyone from your company, whether they are a JobScore user or not, can find and apply for any job in the open or internal status. You made it clear that you only wanted your employees to be able access these jobs on your private company intranet. 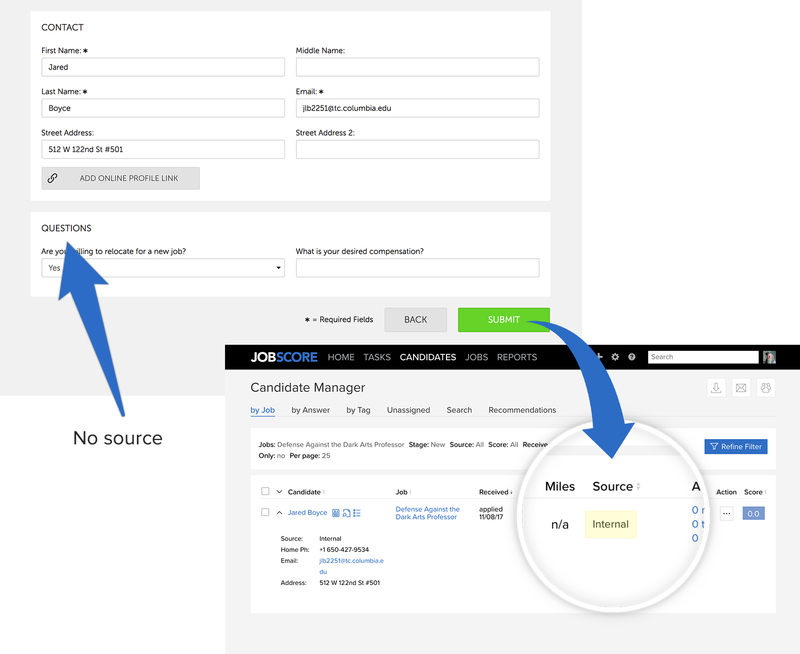 We’ve made this easy by enhancing the JobScore widget builder to be able to show all of your open and internal jobs.